Generally speaking, the largest group of least advantaged children in the United States, those most in need of protection, are the impoverished descendants of enslaved Africans. We might then ask, when directing our attention to Milwaukee, the largest city in the once progressive state of Wisconsin – and part of the home base of now-politically endangered Gov. Scott Walker – what has come of that duty of care? The latest release of findings from the National Assessment of Educational Progress, the “gold standard” for such matters, shows that nationally 13 percent of Black students eligible for the National Lunch Program—a good enough proxy for poverty—read at or above grade level in eighth grade. This is half the percentage of White, non-Hispanic, students at a similar family income level and a quarter of the percentage of White, non-Hispanic students from more prosperous households. Less than a third of Black students from families with incomes high enough to make them ineligible for the National Lunch Program read at or above grade level in grade 8. The issue appears to be the layering of economic deprivation over racial discrimination in educational opportunities: multi-generational economic deprivation as a consequence of continuing racial discrimination. In Milwaukee there are considerably higher percentages of Black K-12 than White K-12 students in the city’s schools. There are more than twice the percentage of White than Black college students (and three times the percentage of White male (44 percent) than male Black college students (14 percent)) These distributions are considerably different from national figures, which show approximately equal Black and White enrollment at every level. Just over a quarter of White residents of Milwaukee have only high school diplomas (including equivalents), as do considerably more, just over a third, of Black residents. On the other hand, 34 percent of White residents have a Bachelor’s degree or higher, but only 13 percent of Black residents have that increasingly necessary qualification. In a nutshell college graduation is achievable for a third of White residents of Milwaukee, but for only just over a tenth of Black residents of the city. This is unusual. Nationally, although the figure is the same for White, non-Hispanics, it is nearly twice as high as the comparable Milwaukee figure for African-Americans (20 percent?). Just five percent of Black students in Milwaukee eligible for the National Lunch Program read at or above grade level in eighth grade. More than half—nearly two-thirds—of these economically deprived Black students in Milwaukee are assessed as being at the “below Basic” level. They can’t read middle school material. Five percent is meaningful beyond its comparative value. It points to chance factors predominating in measurement: students answering questions at random and getting lucky; transfer students from Ghana; children of university faculty; cosmic rays. For all reasonable intents and purposes the Milwaukee public schools are not teaching Black students to read. The percentage of Black students in Milwaukee eligible for the National Lunch Program scoring at or above “proficient” in Mathematics in eighth grade is 3 percent. Cosmic rays as a causal factor for this achievement seems most likely. The Milwaukee public schools are not teaching math to their Black students. In Milwaukee, African-Americans go to school, but they rarely receive a good enough education so that they can read proficiently or perform elementary mathematics tasks or to take them into and through college. It is not then surprising that the unemployment rate for Black residents of the city is between two and three times that of White residents, that the percentage of Black residents of the city in white collar jobs is half that of White residents, that median Black household income is half that of White household income and that the poverty rate for Black families is nearly three times that for White families. These issues are so common as to seem abstract, or to be accepted, like the weather. But like the weather, or, rather, the climate, they are not either abstract or acceptable. The condition of the descendants of enslaved Africans now living in Milwaukee is directly attributable to the decisions of politicians at the state and local level. Those decisions have reduced funding for the public schools, segregated housing and employment opportunities, criminalized daily life. All of this brings us back to Gov. Walker, who is likely to lose his post this November (though, as he has proven in elections past, you can never fully count him out). He has been governor of Wisconsin since 2011. Before that he was Milwaukee County executive and before that he represented a district in Milwaukee County. He has been responsible for the well-being of residents of Milwaukee, its surrounding area and the state for a quarter of a century. If residents of Milwaukee seek a monument for him, they have only to look around them. Certainly Washington, D.C., is at the center of a rapidly growing metropolitan area. But the Nation’s Capital is itself a relatively small city. Just 680,000 live within the heart of the Beltway, of whom approximately 320,000 are Black and 280,000 are White. Or, to be clearer, it is two cities, one White and increasingly prosperous, the other Black. Black Washington is not in any meaningful way in the same socio-economic category as White Washington, and that is clear by every economic and educational measure. 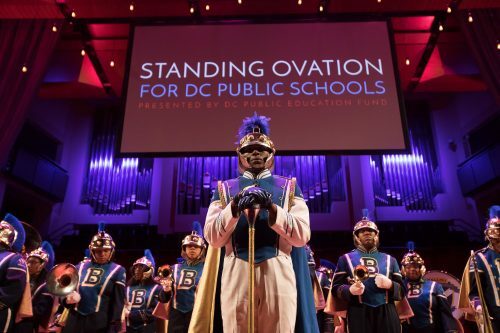 Which makes all the discussions about D.C. Public Schools’ graduation fraud scandal even more important than it already appears. While the unemployment rate for White Washington is just 1.5 percent—hardly measurable—that for the Black population is nearly nine times higher: 13 percent. The White unemployment rate has slightly decreased since the 2007 financial crisis; the Black unemployment rate has increased by three percent, a difference that is itself twice the current total White unemployment rate. Eighty percent of the employed adult White civilian population work in middle class occupations: in management, business, science and the arts. Just eight percent are employed in service occupations. In contrast, less than 40 percent of the employed adult Black civilian population work in middle class management, business, science and arts occupations, while a quarter of employed adult Black civilians work in service occupations. White residents of the District are managers; many Black workers serve them in one way or another. In Washington, D.C., nearly 90 percent of the District’s White residents have Bachelor’s or Graduate degrees, qualifications attained by just a quarter of Black residents 25 years of age and over. As a result, the median household income for White residents of the District was $126,000 in 2015; the median household income for Black residents less than a third of that, $38,000. (By way of comparison, the median household income for the United Stats is $55,000. Nearly two-thirds of American households have incomes over the District median for Black households.) The poverty rate for White families in Washington, D.C., like the unemployment rate, is vanishingly small, just 1.4 percent, while nearly a quarter of Black families, 23 percent, are poor. 18 percent of Black households have incomes of less than $10,000; 26 percent of White households have incomes over $200,000. Poverty, like wealth, can be inherited. According to the Equality of Opportunity Project at Stanford University, a Black child born to Washington, D.C. area parents with incomes in the 25th (bottom) percentile, as an adult, is likely, on average, to have an income at the 32nd percentile, only 7 points higher, while a White child born to parents with incomes at the 25th (bottom) percentile, as an adult, is likely, on average, to have an income at the 43rd percentile, 18 points higher. The upward mobility chances of one of the few White children born into poverty in Washington are between two and three times those of one of the many Black children born into poverty in the city. Wealth, like poverty, tends to be inherited. This often comes from home ownership. In Washington, D.C., due to, among other things, mid-twentieth-century federal policies, approximately half of the White population own their own homes, while only a third of the Black populations own their homes. The median value of those White owner-occupied houses is $739,000; that of Black owner-occupied units is $385,000. If these houses are passed along to the next generation, the children of White homeowners start with twice the wealth, from this source alone, as do the children of Black homeowners. Certainly D.C. Public Schools is no longer the Superfund Site of American public education. But it still has miles to go before it can receive applause for properly education Black children. In the nation’s capitol, the caste system that replaced slavery is characterized by a wealthy White, managerial caste and an impoverished, Black, service caste, with the former averaging incomes in the top 10 percent of the national income distribution, the latter averaging incomes far below that. Black children born into poverty have less of a chance of rising out of poverty than White children; the relatively few Black children of upper middle class parents have a greater chance of falling to a lower class than their White peers. In addition to inherited wealth, largely unavailable to Black residents of Washington, education is a proven route out of poverty. But this route is also closed to Washington’s Black children — often regardless of whether they attend a traditional district or charter school. The average Black student attends a school in which 82 percent of the students are poor; the average White student attends a school in which only a quarter of the students are from poor families. The Brown University Dissimilarity Index measures whether one particular group is distributed across census tracts in the metropolitan area in the same way as another group. A high value indicates that the two groups tend to live in different tracts. A value of 60 (or above) is considered very high. The Black-White Dissimilarity Index for the District is 83 out of 100. Before the Supreme Court’s Brown decision, Washington had some fine schools for Black children. Segregation does not automatically lead to differentiated education achievement; after all, children in public charters schools generally do better than their peers in traditional districts despite stratification based on race. It’s just that the reality in traditional public schools is that segregation usually leads to worse outcomes for Black and other minority children. In D.C.’s schools, 79 percent of fourth-grade White students whose family income is sufficient to make them ineligible for the National Lunch program, test as Proficient or Above in reading (and 95 percent Basic or Above). For all intents and purposes, all the district’s middle class White fourth grade students are taught to read at an acceptable level or beyond that: very well. And the White students who are not from middle class families? There are too few White students eligible for the National Lunch Program in Washington for NAEP to report their test results. Over 90 percent of public school students in the Washington, D.C. are eligible for free or reduced-price lunch. Almost all of these are Black. Educational opportunity in the District of Columbia’s traditional district (as well to a lesser extent, in its charters) are distributed by race and income. It amounts to the same thing. In fourth grade, 44 percent of the few Black students whose family income is sufficient to make them ineligible for the National Lunch program test as Proficient or Above in reading (and 80 percent Basic or Above). Just 15 percent of Black fourth-graders whose family income is low enough to make them eligible for the National Lunch program test at Proficient or Above in reading (and 44 percent Basic or Above). Then in eighth grade, 82 percent of White students, nearly all of whom are ineligible for the National Lunch program, test at Proficient or Above in reading (and 96 percent Basic or Above). Just over a quarter, 27 percent, of Black eighth-grade students whose family income is sufficient to make them ineligible for the National Lunch program test as Proficient or Above in reading (and 69 percent Basic or Above). But only seven percent of Black students whose family income is low enough to make them eligible for the National Lunch program test at Proficient or Above in reading (and 39 percent Basic or Above). These numbers matter. Literacy is essential for all other education; reading skills rarely change much between middle school and high school graduation (of which more below). Between grades 4 and 8, the percentage of the relatively few middle class Black students in Washington testing above Basic in reading declined from 80 to 69 percent; the percentage of the much larger number of Black students eligible for the National Lunch Program testing at or above Basic in reading declines from 44 to 39 percent. Between fourth- and eighth grades, the percentage of the relatively few middle class Black students in Washington testing at or above Proficient declines from 44 to 27 percent; the percentage of the much larger number of Black students eligible for the National Lunch Program testing above Proficient declines from 15 to 7 percent. More time in the District’s schools results in lower rates of educational achievement for Black students. The educational background of the parents of White students is not apparent in test results. Eighty-five percent of White eighth-graders whose parents graduated from college test as Proficient or Above in reading (and 97 percent Basic or Above). On the other hand, the children of highly educated Black parents actually do worst than other middle class Black children, with just 15 percent of Black eighth-graders with some form of higher education scoring Proficient or Above in reading (and 52 percent Basic or Above). The children of less well-educated Black parents do worse yet: just six percent of Black students whose parents only graduated from high school test at Proficient or Above in reading (and 34 percent at Basic or Above). Would even 61 percent of Washington, D.C. students graduate college and career ready? Not at all. In eighth grade, just 53 percent tested at or above Basic in reading, just 25 percent were Proficient or above. It is probably significant that in 2013 96 percent of students entering the Community College of the University of District Columbia required at least one remedial course; half needed remediation in four subjects. By 2017 it was reported that 98 percent of public school graduates needed remediation after enrolling in the University of District Columbia. Given this education system, Washington, D.C., will likely remain two cities, one White and increasingly prosperous, the other Black, impoverished, in a context in which poverty is reproduced from one generation to the next. Simply allowing children incapable of succeeding in college and life to graduate isn’t going to help end this racial caste system. Here’s a suggestion for the District of Columbia Public Schools: Instead of faking graduation rates, teach your Black students to read. For those of us who live in a rational, data-based world, it can no longer be argued that school discipline disparities can be attributed to the fictitious oddities of “the Black family,” socio-economic conditions, cultural differences and the like. In other words, school discipline disparities by race are a good indicator of racism in schools and systems. Which brings us to New York City, the greatest city in the world, for some, and the home to the third most-segregated school system by at least one (widely-debated) study. According to the just-released school discipline data from the U.S. Department of Education, male Black students are three and a half times as likely to be punished with one or more out-of-school suspensions as are male White students and female Black students are an astonishing eight times as likely to be punished in this way than female White students. It reasonably follows, then, that the decisions of district and individual school level personnel to discipline three to eight times the proportion of Black as White students likely results in disproportionate numbers of Black students being held back a grade or dropping out of school. That is one way racist attitudes and actions work to limit educational opportunities for Black students in New York City. Another way is the “school choice” system with its apogee in the city’s selective high schools. “We continue to pursue a set of initiatives to increase diversity at Specialized High Schools,” the city’s education department said in a statement. Sure. Admission to Stuyvesant, and to most of the city’s other specialized high schools, is filtered by means of a test, oddly named the Specialized High School Admissions Test. Oddly named, as it would be more aptly called the Black Student Elimination Test. Without getting into the weeds about testing theory and all that, it does seem that there are validity issues with a test that year after year eliminates all but a dozen or fewer Black students from Stuyvesant’s freshman class. If actions repeatedly result in outcomes at variance with professed goals, it is likely that those outcomes are the actual goals of the actions in question. Stuyvesant is only one school out of the great sea of the New York City education system, but its diversity failure is a telling indicator of the actual nature of the system. It is possible that Black students—sorry, all but a dozen Black students each year—do not get into the school for any number of reasons. The overwhelming number of Black eighth grade students might so dislike the school’s Brutalist architecture that they don’t apply. Or they might not wish to attend a school with so many more Native Hawaiians than Black students. Or they could be woefully ill-prepared by their middle schools. As there is little research concerning the attitudes of Black middle school students in regard to architecture or Native Hawaiians (although there is some anecdotal evidence concerning the latter from interviews with former President Obama, who attended a school with large numbers of Native Hawaiians), we might consider the quality of the city’s middle schools as causal, since Stuyvesant’s admissions data directs our attention there. The Selective High School Admissions Test is effectively a mathematics test. The recently released 2017 National Assessment of Educational Progress’s eighth-grade mathematics assessment reports that nearly two-thirds of New York City’s Black eighth graders eligible for the National School Lunch Program score at the below Basic level: they can’t do middle school math. Just over half of the City’s Black students from more prosperous families can’t do middle school math either. Just 8 percent of the Black students from poor families and 15 percent of those from more prosperous families score at the proficient or above levels. This compares to 26 percent of the National School Lunch Program eligible White students and 57 percent of those White students from more prosperous families who do math proficiently or better at grade 8 in New York City. It seems that family income has surprisingly little effect on eighth-grade mathematical performance of New York City’s Black students. The difference between the percentage of National School Lunch Program eligible White students scoring Proficient and Above on the NAEP mathematics assessment and those from more prosperous families scoring at that level was 31 points. For Black students it was 6 points. Not everyone will agree, of course, but this does seem to indicate that Black students, regardless of family circumstances, attend middle schools with deficient mathematics instruction. New York City happens, “happens,” to be one of the most segregated cities in the country and its schools are similarly racially segregated. The Brown University Index of Dissimilarity measures whether one particular group is distributed in the same way as another group. A high value indicates that the two are separated from one another. A value of 60 or above is considered very high. That between Black and White residents in New York City is over 80. A consequence of this is that neighborhood schools are highly segregated by race. In other words, Black students from both National School Lunch Program eligible and ineligible families are likely to attend the same schools, as indicated by the small gap in NAEP scores. The city’s segregated schools do not have to vary in quality by, say, the percentage of Black students in the school, but the NAEP scores seem to indicate that they do. 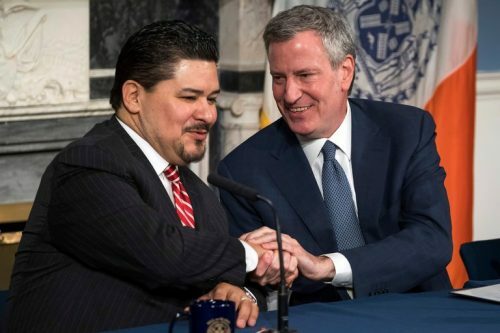 The administrators of the New York City Schools—the Mayor, the Chancellor, their staffs and advisors—appear to know this, as is demonstrated by the city’s school choice program. This elaborate sorting of students and schools would be unnecessary if all the city’s schools offered high quality education. Its very existence is an admission by the city that the quality of schools differ so significantly as to justify this costly and cumbersome system. There are certainly other factors at play here. Racism is not limited to the schools. There is the criminal justice system with its astonishing racial disparities. There are racial disparities in higher education and in employment. But, while some may disagree, the racism in the schools does have strong effects on the later lives of Black students. This may take legislation in Albany. However, legislation in Albany does seem to occur from time to time. It is not unheard of. It could occur to produce better educational opportunities for New York City’s Black children. There are other ways to increase educational and life opportunities for New York City’s Black students. Maintaining the status quo is not one of them. Duval County Public Schools has emerged as a national leader in mathematics and reading outcomes on the National Assessment of Educational Progress (NAEP) . . . “If this were the Olympics, you would say we medaled in almost every event,” said Superintendent Dr. Patricia Willis. “These results, in addition to our record-high graduation rate, reflect the incredible efforts of our students, our teachers, the district and our community.” . . . “The new NAEP results confirm that Duval County is one of the highest performing big city school districts in the nation,” said Michael Casserly, executive director of the Council for Great City Schools. Those newly released 2017 NAEP eighth-grade reading assessments show that while 42 percent of White students in the Duval County public schools can read at grade level (proficient or above), the school system teaches less than half that percentage, 18 percent, of the Black students in its care, to read proficiently at the crucial grade 8 level. Or, looking at that from the other side, well over three-quarters of the Black students in the Duval County Public Schools are not taught to read proficiently. Of those, nearly 90 percent of the male Black students in Jacksonville are not taught to read proficiently and nearly half of those can hardly read at all. We can take that as an indication of the preparation for life that is provided for Black children by the Duval County Public Schools. It is a rather unusual Olympic medal quality performance. A primary driver of these racial disparities in educational achievement is not difficult to discover. Quite some time ago a large-scale research project in Texas demonstrated that disparities in the rate of school discipline actions were based on the racial attitudes of school personnel, rather than the actions of students. In the Duval County schools the rate at which out-of-school suspensions are given is eight percent for Black students, three percent for White students, a more than two-to-one disparity, which is a good measure of racial prejudice in action. That happens to be approximately the disparity in reading proficiency. Of course, correlation does not indicate causation. There are consequences to this failure of the Duval district to teach most of their Black children, and nearly all of their male Black children, to read easily. The Equality of Opportunity Project at Stanford University has studied intergenerational economic mobility by race and gender. According to the Equality of Opportunity Project, the average Black child in Jacksonville, whose household in the year 2000 had an income at or below the 25th percentile of all American households ($28,000, very poor) would probably have an income at the 31st percentile (just poor) by 2015, about $32,000. The average White child in Jacksonville, living in a similarly deprived household in 2000, would have had an income at the 40th percentile in 2015, about $43,000: a nine point, $11,000, advantage for being White. While a Black child growing up in Jacksonville can expect to go up six steps on the economic mobility ladder (from very poor to merely poor), a White child can expect to go up fifteen steps, between two and three times as far and within hailing distance of the national median. This comparative restriction of intergenerational economic mobility for Black residents of Jacksonville cannot be attributed solely to the fact that well over three-quarters of the Black students in the Duval County Public Schools are not taught to read proficiently, but it makes you think, doesn’t it? Well, Jacksonville has a history of slavery, segregation and lynching. We can look to the free state of Wisconsin for better news . . . can’t we? The answer is no. The 2017 NAEP eight-grade reading assessment shows that while 33 percent of White students in the Milwaukee public schools can read at grade level (proficient or above), the school system teaches less than one-fifth of that percentage, six percent, of the Black students in its care to read proficiently at the crucial grade 8 level. 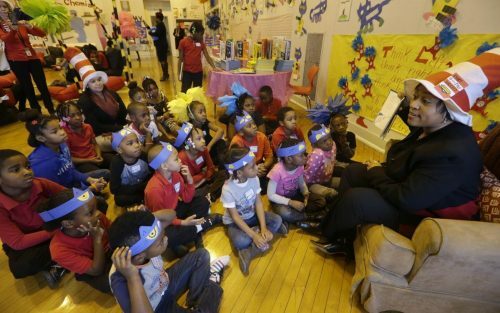 Or, looking at that from the other side, well over 90 percent of the Black students in the Milwaukee public schools are not taught to read proficiently and of those, 96 percent of the male Black students in Milwaukee are not taught to read proficiently. Nearly two-thirds of those can hardly read at all. We can take that as an indication of the preparation for life that is provided for Black children by the Milwaukee Public Schools. As to causation, the racial school discipline disparities in Milwaukee are similar to those in Jacksonville: a Black student is more than twice as likely to be punished with an out-of-school suspension as is a White student. In addition to being an indicator of adult racial attitudes, out-of-school suspensions are likely to lead to students falling behind in their studies and prematurely ending their educations: dropping out. No matter where you go, traditional districts are failing the descendants of enslaved Africans. And as to consequences, according to the Equality of Opportunity Project, the average Black child in Milwaukee, whose household in the year 2000 had an income at or below the 25th percentile of all American households (very poor) would probably have an income at the 36th percentile (poor) by 2015, about $38,000. The average White child in Milwaukee, living in a similarly deprived household in 2000, would have had an income at the 50th percentile in 2015, about $56,000: a fourteen point, $18,000, advantage for being White. While a Black child growing up in Milwaukee can expect to go up eleven steps on the economic mobility ladder (from very poor to merely poor), a White child can expect to go up twenty-five steps, more than twice as far and pretty close to the national median. White children growing up in severe poverty in Milwaukee can expect to participate in the American dream of dramatic economic mobility; the Black children living in that city cannot even dream of it. Neither district is fulfilling its responsibility to educate all children. The size of the racial gaps resulting from these failures are similar. If disparities in school discipline rates are a valid measure of racism (which they are), that, too is similar. And if the Equality of Opportunity Project’s calculations are correct, as they seem to be, the perhaps consequent restrictions on economic mobility for the Black residents of these two American cities will, similarly, continue from one generation to the next. The Equality of Opportunity Project researchers point out that the Black/White racial economic disparities are not a result of factors under the control of Black Americans. Rather, they are the result of factors, such as disparate incarceration rates and the school issues touched on above, that are under the control of the people running the criminal justice and school systems and other social, economic and political aspects of life in this country. They are under the control of that governor, that mayor, this superintendent of schools, this judge and that chief of police in both Jacksonville and Milwaukee—and those in many other cities and towns in this great country. If you want to get a better sense of the shoddiness of the arguments of opponents of school discipline reform, especially when it comes to the Department of Education’s guidance on reducing the overuse of harsh school discipline, simply look at the traditional districts represented in Congress by Rep. Andy Harris of Maryland, who this morning, complained that the four-year-old Dear Colleague letter made school leaders “afraid” to discipline children in their care. Harris made this declaration during one of two hearings that touched on school discipline reform — a House Appropriations subcommittee hearing on the Trump Administration’s proposed budget for education programs. After several congressional leaders — most notably Rep. Barbara Lee of California — roasted U.S. Secretary of Education Betsy DeVos for continuing to weaken the department’s Office for Civil Rights and effectively abandoning the federal role in protecting the civil rights of poor and minority children, Harris essentially encouraged DeVos (along with the planned commission on school safety over which she will be chairing) to toss the school discipline reform measure into the ashbin. Why? Because the measure has forced the districts he represents to stop “disciplining people”. Certainly you can expect the likes of Manhattan Institute wonk Max Eden (who, for some reason, was testifying at a House Judiciary subcommittee hearing on school safety convened a month after the Parkland Massacre) to make big hay of the Maryland Republican’s complaints. After all, it comes on the heels of Florida U.S. Sen. Marco Rubio amplifying the accusations of Eden and other school discipline reform opponents that the Obama Administration-era guidance was responsible for Nickolas Cruz’s murder of 17 children and teachers at Marjorie Stoneman Douglas High School. Rubio’s move (based on an argument disproved both by Dropout Nation and other outlets) resulted in DeVos placing review of the guidance under the school safety commission (which will consist of not one expert on school safety and will only include three of her fellow cabinet secretaries in the Trump regime). The problem, as a Dropout Nation analysis of data submitted by the districts to the U.S. Department of Education’s Civil Rights Database, is that none of Harris’ statements are true. Take Harford County, the largest district in Harris’ district. It meted out one or more out-of-school suspensions to 1,339 children in regular classrooms, or 3.5 percent of the students, in 2013-2014. That is slightly more than the 3.3 percent suspension rate in 2011-2012, two years before the Obama Administration issued its guidance. It also arrested and referred 163 children to juvenile justice systems in 2013-2014, three times the 59 it arrested and referred two years earlier. Another district represented by Harris, Wicomico County, meted out one or more suspensions to 9.5 percent of students (or 1,381 children) in 2013-2014. That was a three-fold increase over the 3.28 percentage suspension rate two years earlier. Dorchester County’s district meted out one or more suspensions to 11 percent of students in 2013-14, an increase over the 8.6 percent suspension rate in 2011-2012. There’s also Caroline County, which meted out one or more suspensions to five percent of students in 2013-2014, an increase over the 4.5 percent rate two years earlier. In fact, Caroline County suspended 29 more students in 2013-14 than two years earlier. Then there is Kent County, which is right on Maryland’s Eastern Shore. In2013-2014, it meted out one or more suspensions to a whopping 14 percent of its students. That’s three times the 5.2 percent suspension rate in 2011-2012, two years before Obama’s school discipline guidance (and just after Maryland’s state board of education had investigated overuse of harsh discipline by districts it oversees). If anything, Kent County’s district became even more punitive: It arrested and referred 60 children in 2013-2014, a sixty-fold increase in the number of students sent onto the most-direct path to the school-to-prison pipeline two years earlier (which was none). 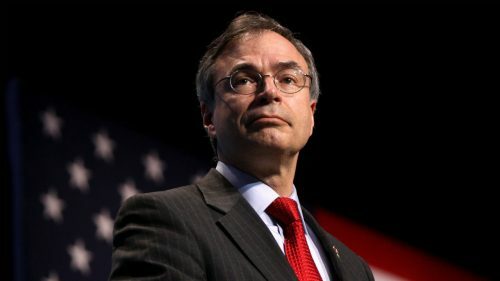 Maryland Congressman Andy Harris argues that the Obama Administration-era guidance against overusing harsh school discipline is stopping school districts he represents from correcting student behavior. The data proves, if anything, that those districts suspend far too many children, especially those Black and Brown. Another district in Harris’ backyard, Worcester County, meted out one or more suspensions to 4.5 percent of children in 2013-2014, higher than the 3.1 percent suspension rate in 2011-2012, before the Obama Administration’s Dear Colleague guidance was issued. Talbot County meted out one or more suspensions to 4.75 percent of students one or more times in 2013-14, nearly double the 2.7 percent suspension rate two years earlier. Only Queen Anne’s County, one of the smallest districts represented by Harris, experienced something of a decline in out-of-school suspensions; one or more suspensions were meted out to 2.2 percent of its students in 2013-2014, only a slight drop over the 2.4 percent rate in 2011-2012. None of this is a surprise to Dropout Nation readers or to honest scholars of school discipline reform. This is because the Obama Administration’s guidance was focused primarily on encouraging districts to reduce overuse of suspensions and other harsh discipline against poor and minority children as well as those condemned to special education ghettos. Even with the guidance, the U.S. Department of Education would only intervene when alerted about potential civil rights violations. Put simply, districts could ignore the administration so long as families and civil rights groups didn’t make a fuss. Which is clearly the case with the district’s represented by Harris on Capitol Hill. This is a shame because the data the districts submit make a strong case for federal investigations — especially when one understands the long history of racial bigotry in the Eastern Shore of the Old Line State. Kent County, for example, meted out-of-school suspensions to 21.4 percent of the 478 Black children attending its schools in 2013-2014, double the 11.4 percent suspension rate against Black children two years earlier; Black children account for a mere 22.4 percent of the student population. The rate of suspensions for Black children in Kent is double the 11.8 percent suspension rate for White children, who, by the way, make up 65.6 percent of students in the district. Wicomico County meted out one or more out-of-school suspensions to 16.7 percent of Black children under its watch in 2013-2014, a five-fold increase over the 3.2 percent suspension rate in 2011-2012. In fact, Black children account for 78.8 percent of all children suspended by the district in 2013-2014 — or four out of ever five kids suspended one or more times that year — while White peers accounted for a mere 33.7 percent of students suspended. This is in spite of the fact that the district is almost equally divided between Black and White students (with the latter making up the majority). The worst part is that Maryland’s state officials know this — and have done little in the last couple of years to address these problems. Thanks in part to a board of education dominated by conservative reformers such as Andy Smarick of the American Enterprise Institute and former Thomas B. Fordham Institute President Chester Finn Jr. (the latter of whom presided over the think tank’s initial activism against the Obama-era guidance), the Old Line State only plans to intervene when suspension levels for poor, minority, and special ed-labeled children are three times higher than that of other peers. Which means districts such as Kent County could continue damaging the futures of our most-vulnerable children with absolute impunity. The state’s move last year to only allow districts to suspend kids for up to five school days (and all but banish suspensions for kids in preschool programs) does nothing to address this problem. Contrary to the assertions of Harris — as well as those of opponents of school discipline reform such as Eden (who deserves no consideration), as well as Michael Petrilli and his crew at Fordham– the case can easily be made that the DeVos and the Department of Education should build on the Obama Administration guidance and go even further. This includes restoring rules allowing Office for Civil Rights investigators to look at years of past complaints against districts to determine patterns of discrimination, hiring more investigators to look into patterns of disparate impact, and even requiring states such as Maryland to implement stronger rules against overuse of harsh discipline. When it comes to building brighter futures for all of our children, we need facts, not assertions based on nothing but talking points that betray the bigotries of those who state them. Recent scandals in places like Washington, D.C. have prompted debates over high school graduation requirements. Many observers rightfully express concern that students who are unprepared for the next stage of their lives might receive meaningless diplomas. They propose that we strictly enforce requirements. If we take this advice, presumably fewer people will walk across a stage to receive a diploma they didn’t earn. On the plus side, these changes will make our school systems more honest about what high schools have achieved; and they will better inform graduates about their preparation for higher education. Unfortunately, along the way we may reduce opportunities for many young people to get the help they need to succeed as independent adults. People can argue about who deserves to graduate, however, if we decide to keep more kids from graduating, we should also agree that kids who don’t graduate deserve more public support that will also prepares them for the rest of their lives. Instead of making a more strictly-enforced sorting device that denies more young people access to a good future, future systems that increase our ability to document a young person’s suitability for further study or training ought to tell us about all young people. We should learn what dropouts know and can do. That way we can help them all transition to the next stage in their education, training, or work. Recent years have seen significant increases high school graduation rates. Today’s scandals indicate that some of this increase has more to do with lowering standards than to gains in learning. Many districts now award diplomas to 15 percent more of their students than they did a decade ago. When it comes to the next phase of their lives, however, do we really think the bottom 10 percent of graduates are that different from the top 10 percent of dropouts? And if both groups need a lot more help to become self-sufficient adults, we ought to not use the diploma to judge who is worthy of our continued support. Diplomas have different uses for different audiences. For students, they are a motivation. To be crass, the diploma is a reward for sitting still for four years, behaving as expected, and for doing all the work to master basic material. For employers and higher education institutions, a diploma is expected to certify that a student is ready for the next stage in their learning and growth. For society, leaving high school is a proxy for adult-hood; and the diploma means that the new adult succeeded at being a teenager. But our current diplomas don’t necessarily fulfill each audience’s needs. Among both graduates and dropouts, there is a wide range in students’ knowledge and skills. Some of these new graduates may be academically closer to the better prepared dropouts than they are other graduates. Admittedly, this is more likely due to a generally poor state preparation than it is to large numbers of dropouts with strong skills. But there are many dropouts who were doing fine in high school before things went poorly; just as there are many graduates who skated through high school with very low grades in classes that expected little of them. If we learn more about both types of students, we can help them both. Most of the debates over high graduation standards focus on attendance. Students were given credit for classes even though they had more absences than allowed in district policy. Technically, they should have failed their courses, which would have meant they didn’t earn enough credit to graduate. In addition to “seat time”, diplomas signal mastery of content and the student’s ability to persevere and follow rules. But when a young person lacks a diploma, we don’t know why. Some didn’t attend class enough to pass. Others misbehaved. Others, attended and behaved, but didn’t learn the material well enough to pass. Labeling a person as a dropout doesn’t tell us which of these challenges tripped them up, only that they did not achieve all three. Instead of focusing on what they lack, for both graduates and dropouts, it would help if we could better understand and certify what they have accomplished and what they are able to do. It is helpful to know if they could behave, if they persevered enough to attend regularly, and what they learned and are able to do. And as we identify these strengths and assets, we can match them to services and programs where they are most likely to succeed. Ideally, more young people can be encouraged to do all the challenging work required in the next step, and we can counsel them to the most appropriate opportunities – where they can gain the skills and knowledge they need for whatever it is they want to do next. There are some who argue that if we give a diploma away too easily, we “aren’t doing them any favors.” I think I disagree. As long as many opportunities for further study or other support are tied to high school completion, and so many young people need more study and help, then a diploma may constitute a favor. As we argue about where we draw the line between dropout and graduate, if we don’t invest enough in dropouts, we ought to revisit what it means to draw the line at all. Giving fewer young people a diploma will increase our confidence that most of the remaining graduates are prepared, but it could also swell the ranks of the dropouts, who are less willing or able to continue their studies or prepare for well-paying work. 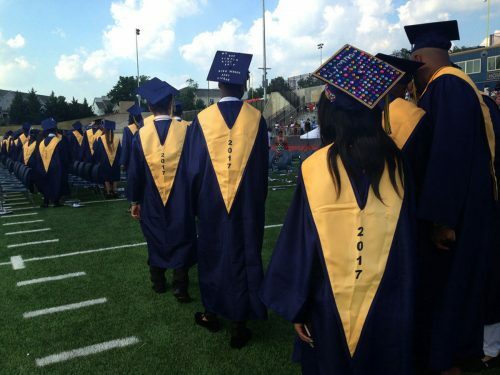 There’s a lot of handwringing about the graduation scandal at D.C. Public Schools. But there is little discussion about the underlying problem of the failures of American public education. Instead of a slow-moving tragedy, recent debates could be helpful if they drive discussions about how we prepare all young people for the workforce or for further study and career training. Far too many high school graduates and dropouts are not prepared to succeed after they leave high school. There are remarkable exceptions, including charter networks with strong records preparing more young people to earn college degrees. We should explore how to use similar strategies and tools to help more young people, regardless of where they are, transition successfully. As it stands, American higher education (which includes traditional colleges as well as workforce training programs run by community colleges), and the kinds of jobs that include training, are all more likely to be available to high school graduates than they are to dropouts. Many programs explicitly target dropouts, and some of these opportunities are open to both graduates and dropouts. But many young people who dropout decide not to try, or they don’t know how to pursue the most beneficial pathways. Compounding these individual tragedies, as a society, we are too comfortable with dropouts’ subsequent self-limiting decisions. Unless we change our attitudes toward dropouts, efforts to deny diplomas to more young people are likely to reduce their access to further training – as well as the accompanying public investments in their futures. We should certainly use this current debate to push for changes that clarify what it takes to earn a diploma. But we should also expand what we do as a society to prepare all these young people to succeed – even if they don’t graduate.